Frustrated with the long queues at The Marmalade Pantry bistros at Ion and Stables? Let me let you into a little secret not many is aware. 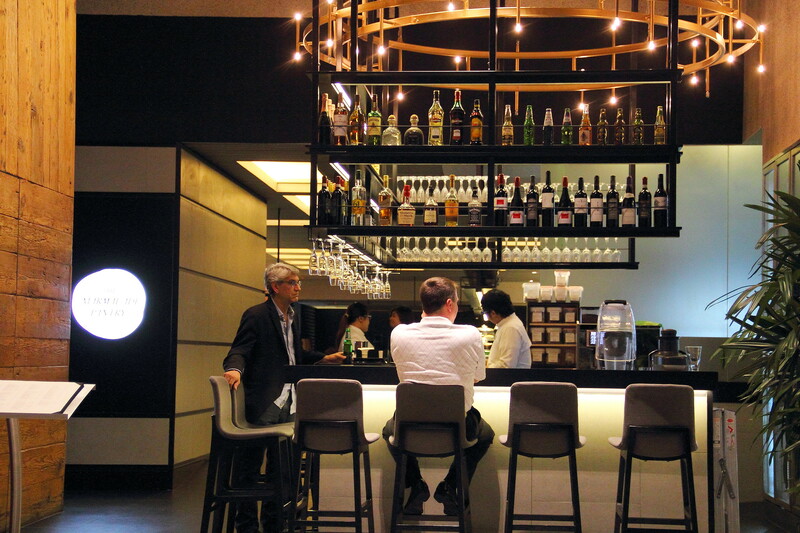 The Marmalade Pantry has opened a third bistro at Novena, Oasia Hotel lobby level back in February 2015. During my visit, there was a slow stream of diners but the place is not as crowded compared to the other 2 outlets. 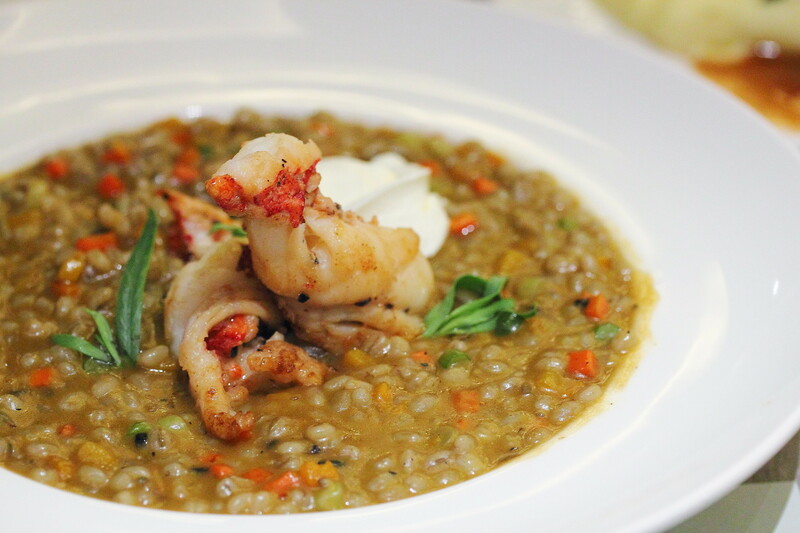 I was blown away with the first dish that is packed with multifold of flavours in the Lobster Barley Risotto ($32). The dish comes with butternut, carrots, onion, garlic flower, lobster chunks, lobster braised barley, parmesan, sour cream and tarragon. I like the substitution of the rice grain with barley giving the dish a more textural bites that is well infused with the lobster's essence. A classic Pan Seared Salmon ($28) with a little twist. 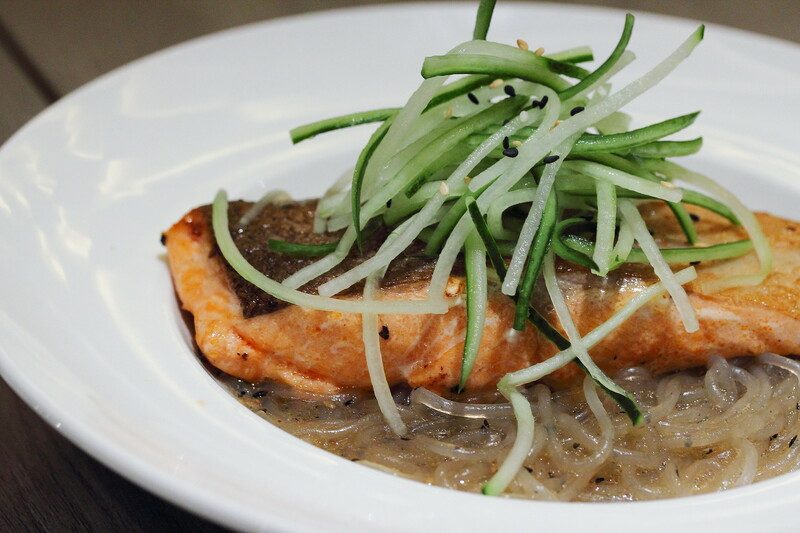 It is served on a bed of chilled sweet potato noodles, sesame and yuzu dressing, topped with cucumber. The idea actually added a light and refreshing element to pinkish salmon. 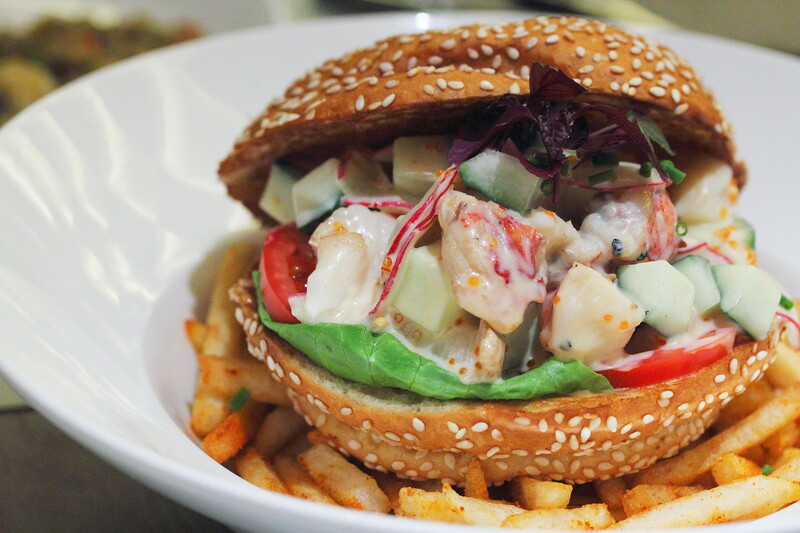 Lobster roll maybe the in thing but how about Miso Lobster Burger ($34). Chunks of lobster meat is tossed in a tobiko and miso mayo mix together with cucumber and red radish, sandwiched on a sesame bun and served with shoestring fries. The different play of flavours and textures actually works. in harmony. Wrapping up the dinner with some desserts, I got to try the Lemon Brulee Tart ($14) and Sticky Date and Toffee Pudding ($14). I felt that the lemon brulee tart has gotten the flavour spot on, not overly too sour but nicely balanced. However because it was blow torched the lemon curd actually liquefied and became a bit messy and hard to eat. 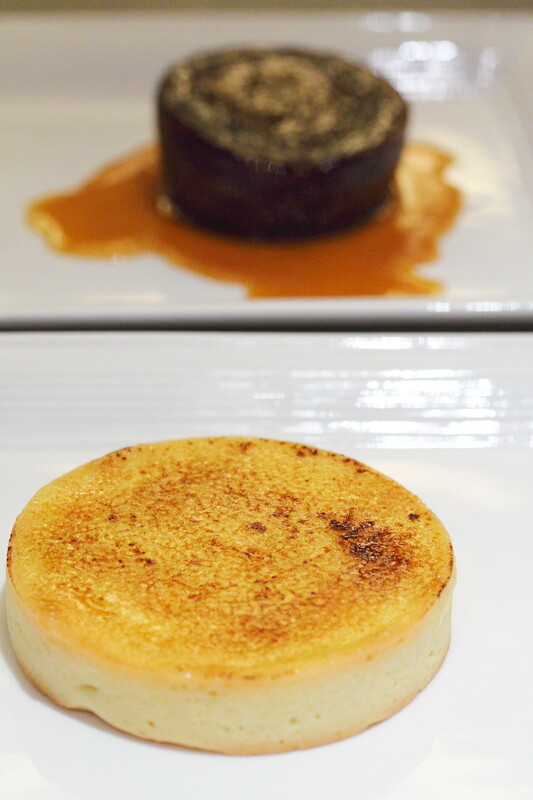 The sticky date and toffee pudding on the other hand is a must try. the pudding was really moist and flavourful. I actually could not resist going back for a few more helping. 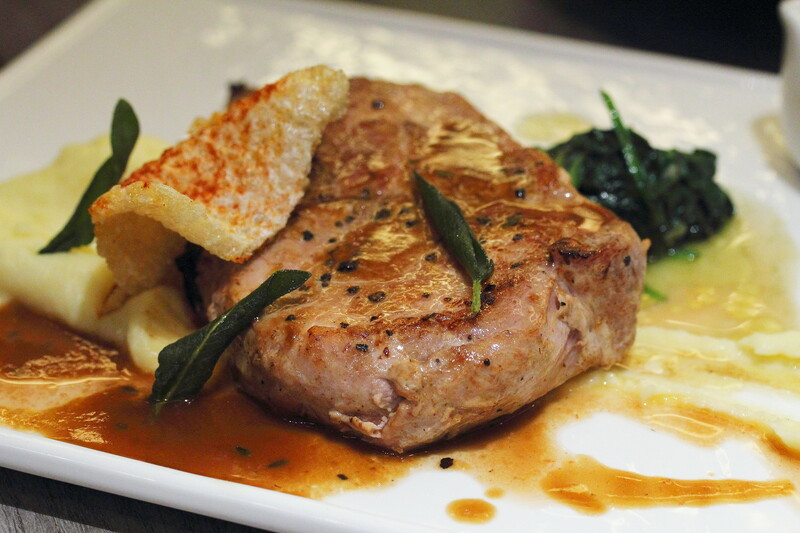 Overall I have enjoyed the food and ambience at The Marmalade Pantry at Novena, Oasia Hotel. If you prefer somewhere quiet and away from the crowd, this is a good consideration compared to their 2 other outlets. Price is on the steep side but portion is actually quite big. I am eyeing on the lobster barley risotto!! haha it is really good , u have a good eyes on good food.